In The Stage Life of Props, Andrew Sofer aims to restore to certain props the performance dimensions that literary critics are trained not to see, then to show that these props are not just accessories, but time machines of the theater. Using case studies that explore the Eucharistic wafer on the medieval stage, the bloody handkerchief on the Elizabethan stage, the skull on the Jacobean stage, the fan on the Restoration and early eighteenth-century stage, and the gun on the modern stage, Andrew Sofer reveals how stage props repeatedly thwart dramatic convention and reinvigorate theatrical practice. 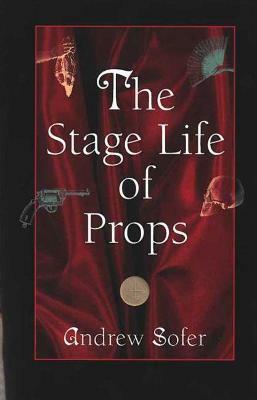 While the focus is on specific objects, Sofer also gives us a sweeping history of half a millennium of stage history as seen through the device of the prop, revealing that as material ghosts, stage props are a way for playwrights to animate stage action, question theatrical practice, and revitalize dramatic form. "This book takes an important first step in highlighting the role props play in establishing and challenging theatrical conventions." --Theatre Research International--Theatre Research International (04/02/2009) "This ambitious book on stage properties in the western European theater provides a framework for a scholarly project already well under way." --Douglas Bruster, University of Texas at Austin"Modern Philology" (02/01/2006) "Sofer tends to concentrate on the prop's theoretical and practical possibilities in performance. One particularly illuminating aspect of his study is the way in which props gather associations as they progress from play to play. . . . A stale convention can take on new life; we gain pleasure 'seeing the relic revived, the dead metaphoro made to speak again." -- (11/21/2003) ." . . comes as close as any history to realizing a comprehensive and comprehensible study of physical objects in the theatre that eschews master narratives in favor of a more fungoid methodology. In so doing, Sofer has created a convincing text that does for the history of stage properties what Joseph Roach's ThePlayer's Passion (1985) did for the history of acting: set the stage, as it were, for a revitalized look at one of the market zones of theatre history as useful for students of props in general as it is to period specialists looking for new approaches to old mysteries. . . . All in all, Sofer's writing is undeniably insightful and full of worthwhile ideas. His contextualized analysis of The Croxton Play of the Sacrament, for instance, is worth the cover price alone. As a precision tool for research, The Stage Life of Props has uses both broad and deep, and would be an excellent resource for any upper-division graduate course touching any of the five historical periods. For a perspicacious professor, it might form the core of a course on the multifarious identities of stage props themselves; an underexplored territory, and one that may shed particular light on how, as Sofer puts it, 'theatre colonizes reality for its own ends.'" -- (02/08/2005) "This book takes an important first stop in highlighting the role props play in establishing and challenging theatrical conventions." --Heather May, Indiana University"Theatre Research International" (02/08/2005) ." . . a superb examination of the prop on the Western stage. . . . Sofer writes elegantly, possesses an eye for detail, and displays a brimming theatrical understanding. . . . Throughout the book, Sofer convincingly demonstrates that it is on the stage, and not the page, that the prop, and the ensuing interpretation of drama, comes to life. His clever jousting with literary scholars emerges repeatedly. . . . This book contributes to the debate between literary and performative studies as interpretive indicators of drama. Literary critics would be wise to heed Sofer's original insights and provocative assertions." --David Krasner, Yale University "Theatre Journal " ." . . a witty, entertaining and--above all--thought-provoking study of a neglected subject. It is not a history of properties on the stage or a comprehensive overview of their deployment. It is, rather, a selective analysis of how meaning attaches to theatrical properties, a hermeneutics of their use. . . . Witty and insightful to the end . . . Sofer demonstrates time and again the inadequacy of complacent or formulaic responses to stage properties. Even the most familiar of them are indeed 'characters in their own right' and this book will have succeeded in its purpose if from now on we treat them with the careful attention such a status deserves and requires." --Richard Dutton, Ohio State University "Text & Presentation, 2004 " "By focusing on props as the temporal signs of social meaning, The Stage Life of Props makes a remarkable contribution to theatre history, and whets our appetite for even more inclusive studies on the nature of objects in performance." --John Bell, Emerson College"TDR: The Drama Review" (07/25/2005) "Andrew Sofer has produced a splendid book which deserves to be thought of alongside the very best of American theatre history and criticism. The book is written with a wit and a lightness of touch all too often absent in dealings with vexed questions of presence and representation, and in returning the object to the stage Sofer makes a compelling case for the material reality of the theatrical event." -- (02/23/2006) "The book is an excellent study, and anyone who claims an interest in performance needs to own it." --Frances Teague"Comparative Drama" (07/12/2005) ." . . seeks to 'make visible' performative aspects of the prop that 'text-based critics are trained not to see.'" -- (06/10/2004) ." . . a timely and fascinating discourse for theatre devotees and a welcome addition to Theatre Department reference collections and supplemental reading lists for aspiring playwrights." -- (12/19/2003) "Profound, illuminating and original, The Stage Life of Props is not only an excellent introduction into a wide range of modern work in cultural analysis, but also an extremely thought-provoking and impressive piece of work. Nothing has yet been written as comprehensive and evocative as this on the stage property, but beyond that specific concern, Sofer sees how a consideration of certain key stage properties can serve to open up some of the most basic intellectual and spiritual concerns of an era. The result is . . . an important contribution to the field not only of theatre studies in particular but of cultural studies in general." -- (03/31/2003) "Andrew Sofer's The Stage Life of Props is an important and fruitful book that reflects its author's intellectual acumen, scholarly knowledge, and deep, exuberant knowledge of and feeling for theatrical production." Andrew Sofer is Assistant Professor of English at Boston College. He has directed many new and classic plays.